You will often come across people who ask you whether or not it is correct to set their career in the field of SEO. Students who have taken advertising at their college level are more likely to think of planning their career as search engine optimizers. Back then, there weren’t any courses on digital marketing, there were no internships let alone professional certifications. But nowadays there are courses available on digital marketing. If you’re interested in SEO and you are thinking of setting your career, there are definitely some points that you need to know. Read on to know about some advice from experts. Would it be right to have an official degree in digital marketing? What are the things that are going to make a difference in setting up your career? Your actual set of skills: Is it possible to find someone who knows the basics of SEO, can code HTML, is also a good writer and can engage in an intelligent conversation? If you have some familiarity with Google analytics, that will be even better. Ability to face clients: It is not always possible to depend on your skills as that is only half the job done. The other half constitutes with interacting with stakeholders. This includes the ability to talk about your business objectives with your clients. Hone your skills: You must be having enough experience to walk into an office that offers you entry-level opportunity. 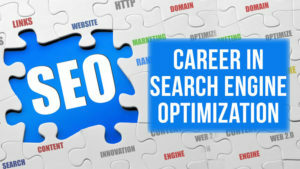 Those who emerge successful in SEO are by nature curious enough and this is indeed a good signal for the job candidate. Certifications: Any Google certifications which you can get can be a good differentiator. Google Analytics individual qualification is one of the best certifications that you can try opting for. What are some of the benefits of choosing a digital marketing career? Check out some. There’s always something to learn: This is not only a cliché, there will be always something new that will be happening. Don’t get overwhelmed that you need to be an expert. Even when you just understand the basics that would do. In case you have an idea to measure and test, then seniority won’t matter in that case. This is even true for some tech-related fields. You get to interact with some cool people within the industry. Therefore, if you’re still eager to choose a career in SEO, you should go for it as there are lots of things to learn from this industry.